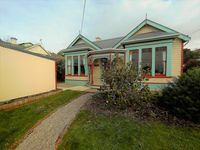 Properties in Waitaki District average 4.6 out of 5 stars. Spacious, comfortable holiday home by the lakes. Property 7: Spacious, comfortable holiday home by the lakes. Nestled 7kms past Lake Ohau, in the Southern Alps of NZ lies Base. 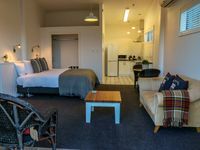 Property 38: Nestled 7kms past Lake Ohau, in the Southern Alps of NZ lies Base. We realy enjoyed our stay. It is such a lovely b&amp;b. So clean and tidy. Great hospitality. Everything what you need for a perfect weekend gateway is here. Stunning view. Comfy bed. Immaculate home. We would stay again.